In 2010 while sitting in the Atlanta airport, I started my writing career. Was I starting a journey of discovery? For sure. The first discovery was that I was going to need help. Sure, I had written published journal articles, taught creative writing to sixth graders, and even completed a technical dissertation on the topic of labeling children. But this was different. After completing my first story, having it critiqued by unsuspecting volunteers, and stepping back to view it myself – the evidence was exposed. I had pieces of great writing, but too often got bogged down with characterizations speed bumps, plot potholes, and a lack of “grab the reader and keep them there” type writing. WRITER’S DIGEST – Yes, they will push you to purchase their established resources, but you can also read many free articles and helpful ideas. I’ve found many gems since first stumbling across their page a few years back. THE OTHER SIDE OF THE STORY BLOG – Janice Hardy is an established author. Her site is filled with tips and suggestions. She doesn’t just TELL you what makes a story shine, she SHOWS you how. I visit her often and my writing shows the result. CHILDREN’S BOOK INSIDER – I write for a middle grade audience so I searched for experts in the field. The free resources here are plentiful and a subscription gets you access to their monthly newsletter and freebies. 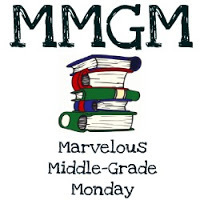 FROM THE MIXED-UP FILES OF … MIDDLE GRADE WRITERS – If you are a YA, Adult, or fit your self into another genre, don’t be shut down by the title here. The writing help is cataloged and immensely valuable. Have a great year of writing! This entry was posted in Writing and tagged Children's Book Insider, Janice Hardy, Middle grade, Writer's Digest, Writing craft. Bookmark the permalink. Greg, you’ll find a TON of resources at the Insecure Writer’s Support Group website, too. Thanks, I love to get recommendations, too. I’ll visit “Insecure…” soon to discover what they have to offer. Thanks, I’ve been trying to find more resources to help my writing!